We are all about encouraging our youth to follow their dreams, and it's up to us as adults to nurture their talents. The Sewing into Dreams with Stitches of Hope organization is doing their part in helping youth hone their fashion design and modeling skills. Their Future Fashion Designer Competition has already kicked off, but there's still time to get in and be part of this amazing program. Check out the details below, and get designers you know involved. 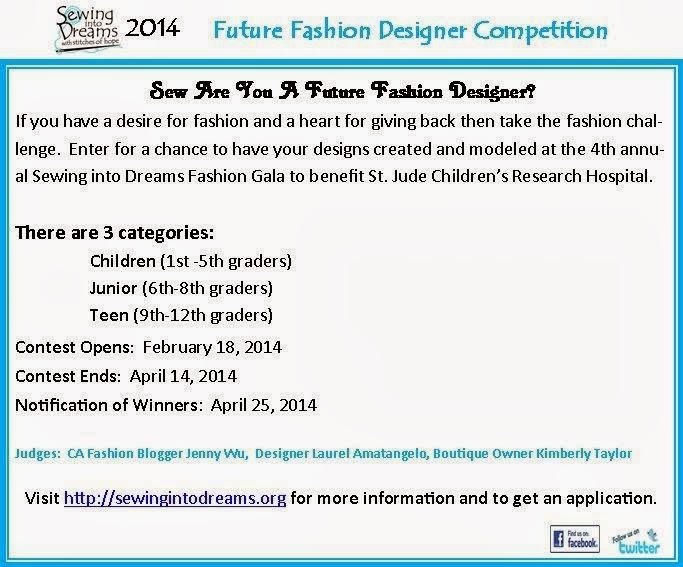 Not only do the designers benefit from the competition, but St. Jude Children's Research Hospital does, too. Win-win. For more on Sewing into Dreams, click here!